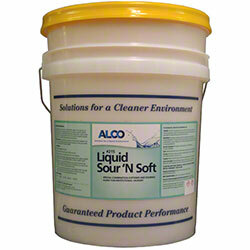 Alco Liquid Sour & Soft - Alco-Chem, Inc. Liquid sour and fabric softener in one product. Controls fabric pH and softens fabrics.